If I had a nickel, as the cliche goes. If I had a nickel for every time I’ve heard this false equivalency, I’d be a very, very wealthy man. You can license driving because it occurs on public roads. You cannot license people for firearms because there is a right to keep and bear arms. This has taken on new and more troubling implications in the years since the attacks on 9/11, with the development of the no-fly list for terrorists that the government barely admits exists on the one hand, and their willingness to apply it to other things like weapons purchases so that suspected terrorists can be kept from buying guns as well as not being able to fly on the other. That latter proposal, weapons purchases, has its own share of problems, many of which echo the core problems in the title and the argument quoted above. As I’ve said before on this blog, I have a serious problem with cognitive dissonance on the subject of firearms. But when it comes to contrasting travel with firearms, I have a few things I think I can say without reservation. 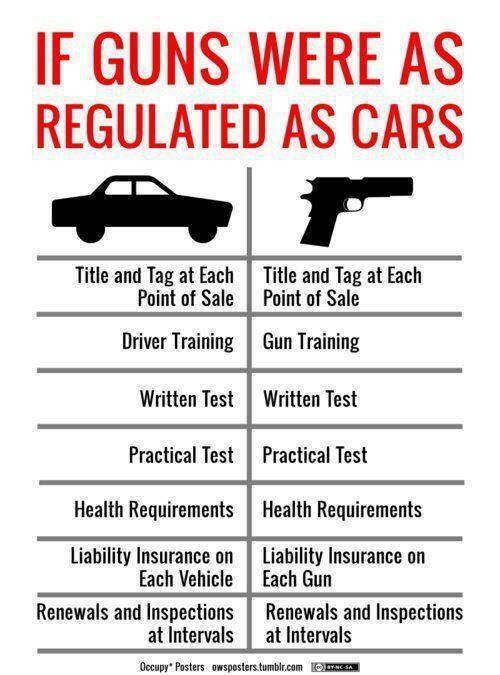 Just to be clear what the subject is here, it really isn’t travel vs. firearms. Even though most gunnuts (ammosexuals) want you to think about the subject in these over-broad general terms, the subject is properly generically stated as travel vs. self-defense or more specifically driving vs. firearms. Public transit vs. firearms in the case of the no-fly list. And right off the bat we run into this glaring problem. Travel generically is a more important right than owning a firearm, specifically. Travel is instrumental in the ability to defend oneself, the ability to remove from one location, where your life is under threat, to a new location where it theoretically is not. Access to public transit, which includes air travel, is far more important than even being able to drive. Travel is a right. Limitations on travel without due process is a violation of our rights, what the government is supposed to be safeguarding for us. So the existence of the no-fly list outside of due process is a constitutional violation of our rights. I’ll get back to that. First let’s tackle the specifics of driving and firearms. I want to draw some parallels to illustrate why the arguments I’m about to present are not some wingnut conjecture. An automobile is deadly. It may not be designed to kill, but it is a very effective killer all the same. It is a tool designed by humans to serve humans as a replacement for large animals who were used in a similar fashion before the industrial revolution. A firearm is another man-made tool. This tool serves a specific purpose, or a variety of purposes all related, much like the automobile was designed to serve a specific purpose. Refined and perfected over the years, modern firearms are some of the most effective killing machines we’ve ever invented. 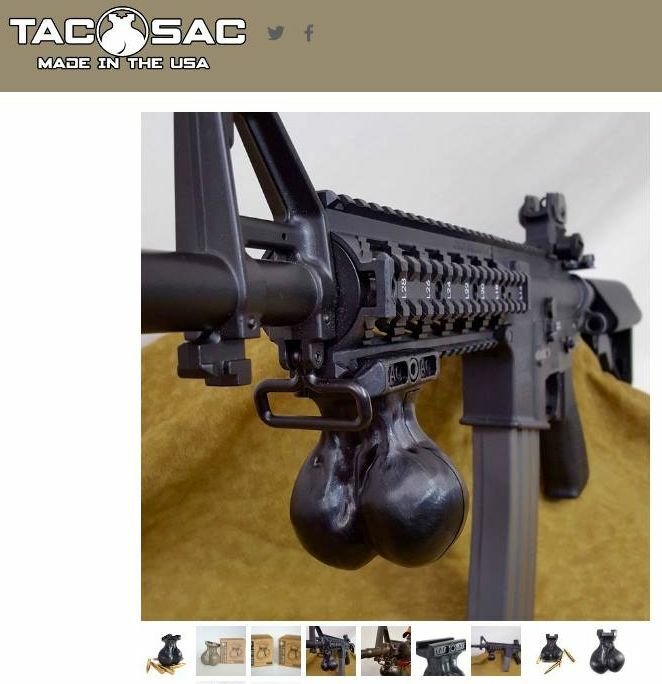 They fire repeatedly and use standard rounds that can be purchased almost anywhere. To purchase an automobile you need to have a license to drive. There are cases in which you can buy a car without a license; methods to circumvent regulatory guidelines allowing you to buy a car without a license. But the regulatory purpose of the driver’s license is clear, and only those intent on obfuscation offer arguments to the contrary. The purpose is to restrict vehicle operation and ownership to those people who have demonstrated a proficiency with the dangerous tool in question. We license and regulate drivers because automobiles are dangerous and not because roads are public. You will find sovereignty arguments all over the place that make noises about common modes of travel, public conveyance, etc. None of them amount to anything in the face of a police officer who wants to see your driver’s license. You can operate machinery on your own property without a license because law enforcement officers cannot enter your property without probable cause. It is actually illegal to drive on private property without a license in many jurisdictions. Not in Texas, apparently. Now we come to the right to keep and bear arms, the murky waters created by the second amendment to the United States Constitution. The second amendment is perhaps the most misunderstood piece of legalese still in place in the Constitution. It ranks right up there with the attempts to legislate the value of Pi or what we call rising sea levels in Florida. It has caused at least as much harm as it has good especially in the modern age of repeaters, automatics and semi-automatic weapons. The problem here is two-fold. The ability to defend oneself is primary. This is demonstrable, as I illustrated above. Self-defense though is not limited to and may not even include access to firearms generally. But the right to defend oneself is not mentioned in the constitution, the right to keep and bear arms is. This is most likely an outgrowth of the views of the time. Dueling was still a common practice. Although it was made illegal around the time of the revolution in many places, it’s practice continued well into the middle of the next century and became the basis for the near-mythical quick draw gunfight. It is worth noting that some Western municipalities attempted to put an end to dueling with some of the first gun carrying restrictions in North America, the precursors for modern gun control. Hunting with long guns (rifles were not yet invented) was commonplace and essential for many Americans if they wanted to eat. Between these two purposes, self-defense and hunting, it was rare to find a man who did not know how to shoot. On top of this we have the demonstrable attempts by governments all across the world, down through history into the modern day, to render their populations defenseless. It is easier to control people who do not understand how to defend themselves. Historically this has been done by hoarding weapons under the guardianship of the local authority. If the authorities know where all the guns are, they will know who can and can’t defend themselves. There are other ways to defend yourself, short of firearms. Denied access to firearms and even knives, it is still possible to mount a defense if you know how. Knowledge is power, in more ways than one. Revolution need not be violent in order to be effective. So the question is, what role do firearms play in modern society, how do we secure our right to defend ourselves while at the same time avoiding becoming the victim of the very same weapons we keep for defense? What an unregulated militia looks like. The second amendment speaks to two things; a well regulated militia and the right to keep and bear arms individually. The recent Heller decision struck down blanket bans on firearms that had evolved from the earlier attempts at gun control I mentioned previously. Personally I think that is an accurate reading of the second amendment. What remains to be realized is that we need licensing and regulation of the citizenry for firearms proficiency. That is what well regulated militia means in the modern age. The militia are the people, the citizenry. There has been a historical disconnect between the concept of militia and what the militias became as government evolved over the last two centuries. What the originating documents of the United States called militia we would probably see as the various state guards and national guards today. In those days all able-bodied men and boys were expected to participate in guard duties to some extent or other, a practice that fell to the wayside as our cities and states became more populous and our experiences more segmented and separated. However, the language in the Constitution still states a well regulated militia, and since there is an individual right to keep and bear arms, that means that we the people have to decide what well regulated militia means in the scheme of all of us potentially being armed at any given time. Regulation is necessary. We want to keep the Trayvon Martin encounters to a minimum. We definitely do not want cities of Zimmerman‘s stalking all the suspicious-looking people they don’t like, just waiting for a chance to act in self-defense. We do not want a return to the old West stereotype of guns at High Noon, or pistols at ten paces. A near-certain death sentence with the accuracy of today’s weapons. Just as there are limitations on who can drive or travel in what kinds of cars and trucks, limitations based on objective standards, so too there should be limitations on who can own a firearm and what kind of firearms can be owned. Now we’ve come full circle, you readers who are still with me. we’ve circled back to the initial parameters of the argument; driver’s licenses, firearms licenses, and no-fly lists for terrorists. In the light of objective standards as a guide, the use of the completely subjective no-fly terrorist list to also ban firearms purchases is essentially a patchwork way of applying suspicions more broadly whether those suspicions are well-founded or not. Automobile ownership and weapons ownership are almost identical for comparison purposes, but the right to use public transit should not be so easily infringed. With no way for the list to be challenged, no standards beyond mere suspicion by a federal agency, the use of this list should be stopped altogether, not applied to another related subject. What needs to happen is for there to be actual discussion of these problems. What is needed is standardized national identification for the purposes of travel (there is a twisted can of worms) so that citizens can be assured that they will gain access to public transit. Me personally? I’m tired of that argument. Let me just use my palm print. Mark of the beast be damned, I just want to stop standing in lines everywhere I go. Can we just get over this crazy notion of anonymity? Make a provision for those people who really need to remain anonymous? I have no problem with driver’s licenses, and I say this as a guy who will likely be forced to surrender his license in the next decade or so, as my ability focus and balance is degraded by disease. Subjectively I resent not being about to get around on my own; objectively I have to say most of you will be safer if I can’t. If this disease gets worse. 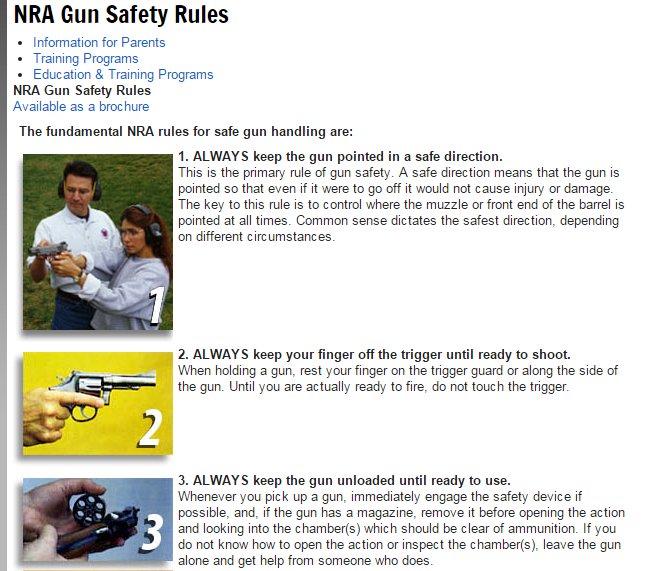 Over time, just like with the drunk driving laws, enforcing the NRA’s own rules, the same basic common sense rules that are used in the military, in law enforcement, on civilian gun ranges, and were taught to most of us by our fathers, will change our culture from one of gun fetishists to one of responsible gun owners. And that will reduce gun violence, just as the same approach has significantly reduced drinking and driving. Go over and read the article once you stop screaming at your computer screen. You might learn a thing or two from the (more than a dozen) articles Jim has written on the subject of America’s gun culture; or as he refers to it Bang, Bang Crazy and Bang, Bang Sanity. He has far more patience for the gun fetishists that surround us than I do. I do want to make one thing crystal clear before ending. The second amendment is a two-edged sword, in more ways than the one I’ve just outlined. The other argument which can be (and has been) made is the original intent of a well regulated militia. If the people tasked with keeping us safe deem that the requirement is impossible with the rules now in place, they can and probably should conscript all able-bodied persons into the military for the purposes of weapons assessment. That is one sure-fire way to make sure we know who should and shouldn’t have a weapon. I’m as opposed as I can get to the idea of a return to the bad-old days of the draft, but if anyone can have a weapon, and if no other laws are possible to fix the problem of weapons in our midst, then the only remaining solution is the one where everyone is trained and everyone is armed to their proficiency. What we need to decide is, which kind of America do we really want to live in? The time for that conversation is rapidly passing us by. Inspired in part by this discussion on my Facebook wall. Previous Previous post: #MAGA: The Wealthy Stupid or the Stupid Wealthy? Next Next post: Thirteenth, a Netflix Documentary.